So much to unpack here – let’s start with their joint monogram which we first got a look at last year when they sent thank you letters after the wedding. This is the first time I can recall them sharing it publicly – and it’s solid, smart marketing: holding back little gifts to drop strategically. So why now? 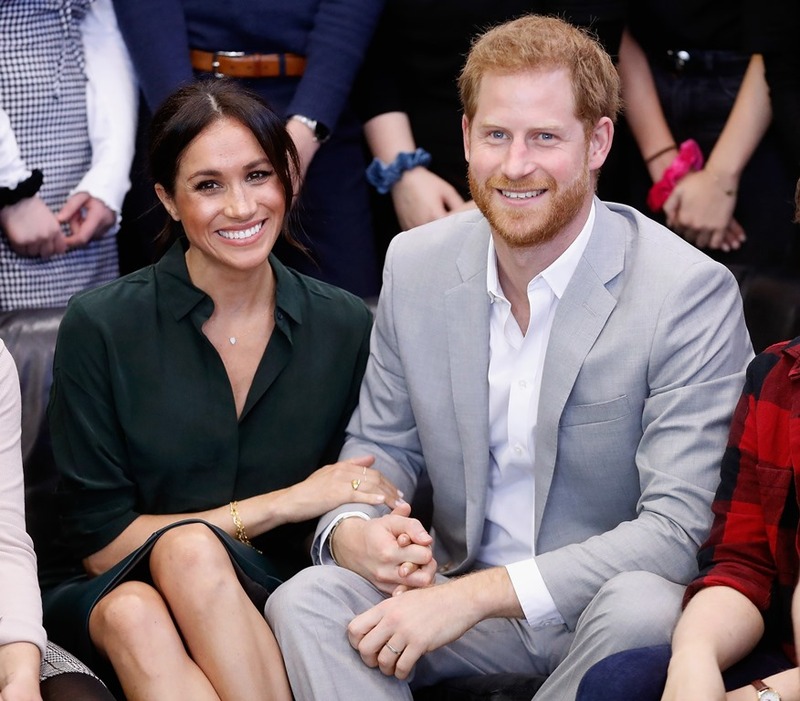 Well, of course, Royal Meghan is near her due date. This is where they’ll make the announcement of the baby’s birth. This is what they’ve set it up for. Interestingly enough, basically as soon as the House Sussex Instagram account was launched, the Kensington Palace account welcomed them to IG …. Nobody’s wasting any time on either side. Back to Harry and Meghan though and specifically the caption for their first post – they’ve signed off as “Harry and Meghan”. That’s the tone they’re setting for their House: informal, casual, familiar, the house signature vibe. House Sussex is about first names and hugs, they’re relaxed, they’re unstuffy, they’re not all about protocol. But just HOW relaxed and unstuffy and informal will they take it? Will we see Meghan doing yoga on stories? Will they use emojis liberally, sparingly, or not at all? Will there be an OOTW? Doubtful. But the point is, they may be better at this game than anyone else in their family, considering Meghan used to be on Instagram herself and is a Hollywood millennial who understands what it means to curate an online identity. It’s been an hour and already the follower count, at post time, is near 300K. I wonder how quickly it’ll be before they get over a million. And how long it will take for them to approach the KP follower number which is currently at 7.1 million. Oh, what? You don’t think that’s a thing? Please. It’s social media. That’s how we measure our lives now, with likes and followers. And given that this separation between House Cambridge and House Sussex has already been a dramatic storyline, OF COURSE people are going to pay attention to the stats, especially once the House Sussex account continues to add content. And when the baby is born, that post is a potential internet breaker, a possible record-setter for likes. Welcome to modern royal gossip.